University of Chicago Press, 9780226709642, 240pp. Benjamin Reiss is associate professor of English at Emory University and the author of "The Showman and the Slave: Race, Death, and Memory in Barnum s ""America."" "Engaging and thoughtful, Theaters of Madness captures the 'texture of a time unlike our own' when 'the treatment of mental illness was central to national debates about democracy, freedom, and modernity.'" "Reiss depicts cultural life in the 19th-century asylum and asylum life in 19-century literature in his stunningly well-composed Theaters of Madness." 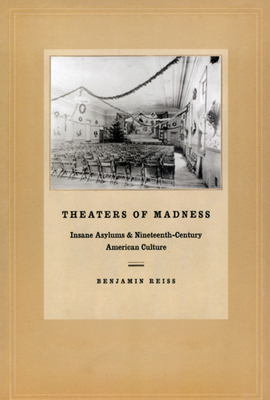 "Theaters of Madness is a fascinating read for its range of material, depth of analysis, and its theoretical clarity. . . . Reiss shows that to understand madness we need much more than the conceptual tools of psychiatry and, for that matter, of its more reactionary opponents."